B U B B L E G A R M: The Z Palette! I NEED to order some of thoses! love the leopard print design, so cute!! quite a good idea as the eyeshadows can be of any brand and have a pan shape of any size! I like the clear tops and the and nice prints, but I think I'd rather wait till another company comes out with something that's not cardboard. I HATE how cardboard packaging looks raggedy after a while. Maybe they chose to go with cardboard to counter the heavy weight of the magnet? do you have a way of keeping track of which shadows are which colour and brand after you've depotted them? I always forget, if you do, please share! I have always loved your blog, but now I love it even more for your honesty. I am referring to the disclaimer you put at the end of the post saying that you have contacted them directly. You weren't obliged to tell that, yet you did. 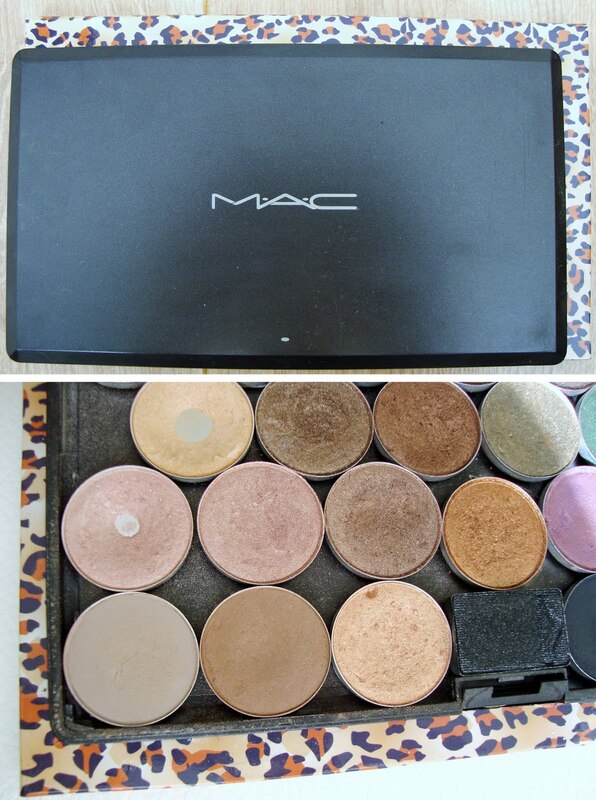 I like the idea of the Z Palette, but I removed the insert of my MAC palettes so I don't really need one :) I don't like the fact that it's cardboard, though, I'd rather see them make one in plastic. the small palette seems gorgeous! Exactly what I need to organise my make up. Everything seems out of place at the moment and this gets on my nerves. Thanks for the review. Ether looks GORGEOUS as well... might be going on my wish list! i can't see myself removing product from certain packaging (the book of shadows, for one) but this would be fantastic for traveling! I've seen the Z palette before, but it didn't seem that well made to me (hard to clean, cardboard material). But for home use, I guess it's fine. I have thought about getting an UNII palette and putting my "daily face" into it - face powder, blush, bronzer and eyeshadows. Then all my products would be in one sleek place. But part of me loves all the cute little containers my make up comes in - especially my Dior and Chanel items. the leopard design looks gorgeous!! How do you know the names? Or do you care? Ahahaha, sorry! Just wondering. Hoping I didn't overread anything! i followed! do you want to follow mine?